1. 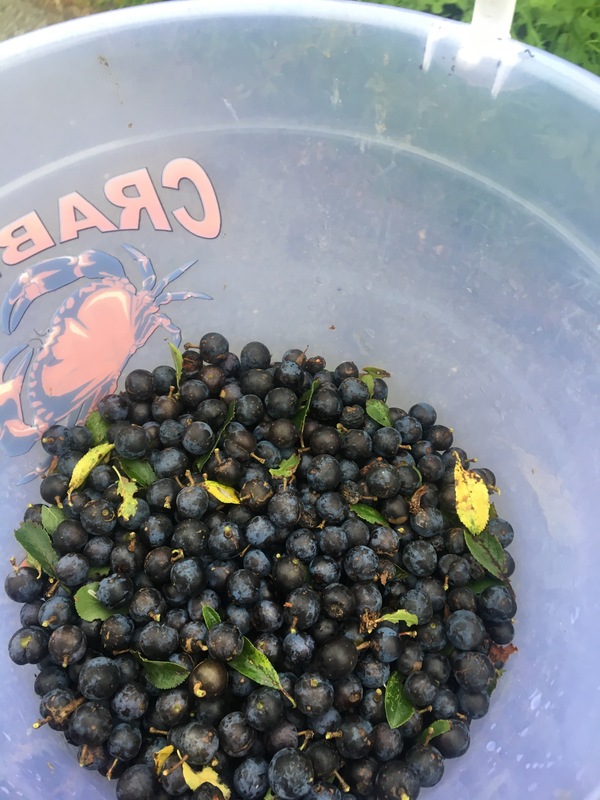 Pick your Sloes! Thoroughly wash your berries, getting rid of any nasties/thorns/leaves etc. 2. Pop the berries into the freezer, replicating the first frost! This cracks the skin to release the natural sweetness. 3. Add the sloes into your jar or bottle, adding the sugar. 4. Pour in the gin & shake well. 5. Let the sloes steep in the Gin. Seal the bottle & store in a dark cupboard for 3 months, turning the bottle or jar every other day for 1 month & then weekly thereafter. 6. Strain the liquid into smaller bottles using a Muslin. You can then decorate the neck of the bottle with ribbon & a add a tag. If you can bare to part with them, they make the perfect Christmas present for a Gin lover!